With all the iPods, Zunes and MP3 players not to mention PC's being sold this Holiday season. 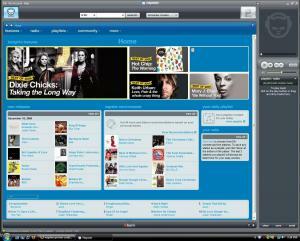 x64bit.net decided to take a look at the different Online Music stores available to consumers. 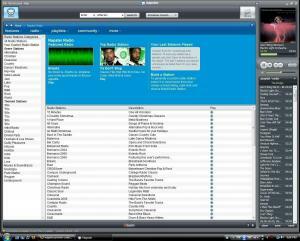 We will be looking at what players are compatible, Pricing, Terms, Formats, Song Availability and Download speed. We will also be looking at extras these Online Stores have to offer such as an online radio station, Play list and menu organization, PC rights, CD rights and promotions. Since the advent of the iPod in 2001, Apple Computer has dominated the portable music world with iTunes Music Store, Now known as iTunes Store, broadening their downloads to also include digital music, music videos, television shows, iPod games and feature length films. 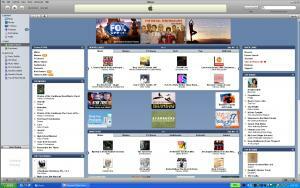 ITunes has become one of the most popular sources for downloading music legally in the world over the past years. 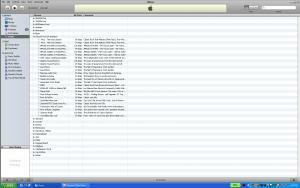 In this section I will be reviewing the different offerings that iTunes offers and how it is integrated in with your iPod. 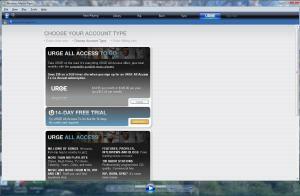 Account setup is pretty straight forward. 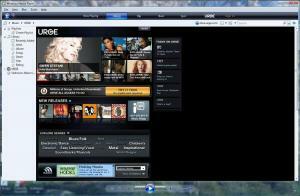 Just head over to www.apple.com and download the latest version of iTunes. 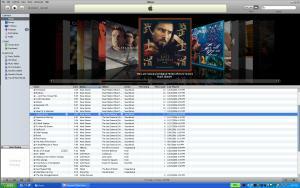 There are a few things that I always do after installing iTunes. This includes: going to edit – preferences – playback – and enabling the Sound Enhancer, and turning on Sound Check. I also always go to View – Show Equalizer – and then set it on Acoustic (or whatever you preference is). Doing those few steps really increases the sound quality of your music. 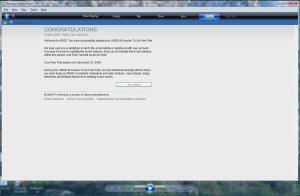 Then go to the apple store within the program and follow the instruction for account setup. During setup you enter your credit card information so you can automatically purchase songs for download through the store. After a short setup you are off and running. 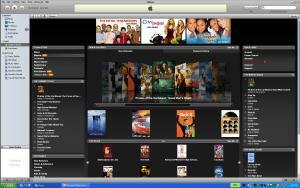 Here is the main screen for iTunes. It is fairly well designed. 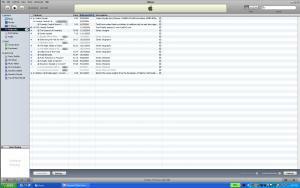 You can see on the right side of the screen is a list of the top 10 downloads at that time; which I like to use since I find songs at times that I had forgotten about that I hear on the radio. From here you can search using several methods. Either “Browse” brings a screen where you search by clicking through options such as: Genre, Subgenre, Artist, and then Album. The other way is “Power Search” which opens a screen prompting you to enter an artist or song and then click search to see results. You can then sort by most relevant searches or artist. Songs on iTunes cost .99 cents, and if you buy the entire album you usually spend around $10.99. Here is the movie section of the iTunes; this section is a fairly new edition to the site. They have a really large selection of movies and also TV shows to choose from. The movies cost $14.99, and to give you an idea of size, Pirates of the Caribbean Dead Man’s Chest is 1.73 GB’s. Overall, the quality is very good when viewing on your iPod. However, you do need to make sure you have an iPod Video. This will not work on a Nano. 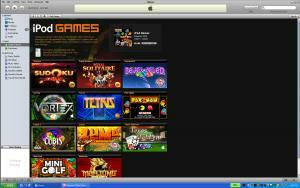 The newest addition to iTunes is the game downloads. So far the ones you see in this screenshot are all that are offered. But more are on the way. The games cost $4.99 each and are roughly 25mb each. For what you get out of them I think the games are a better value than the movies. One feature that has really caught on is Podcasts!! These are just prerecording of shows. You can even produce your own podcasts and post them for the rest of the world to hear. You can either download individual casts, or you can subscribe to a specific one and then iTunes will automatically download any new podcasts that come out for you and put them on your iPod the next time you sync. 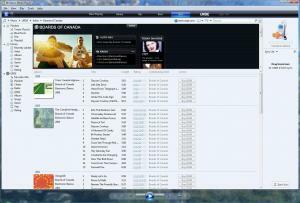 iTunes also offers a wide variety of different radio stations you can stream to your desktop. This is the main screen you will be using 99% of you time on iTunes. 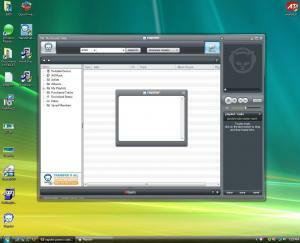 Here you can play your songs and create playlists. Once you have your playlists made it is simple as dragging and dropping blocks of songs into the correct playlist. 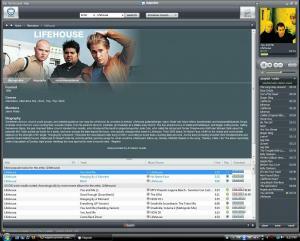 From there plug in your iPod and it will automatically sync all your new songs. With the newest version of iTunes they added the album covers to the top of the screen and you can sort through your music by clicking on the album you want to listen to. My favorite function that iTunes supports is the ability to stream music throughout your network to other computers using iTunes. I have a server in the basement that runs iTunes 24/7, I keep all my music stored on it and from there I just stream my music to whatever computer I am using in the house. iTunes has some strict rules on their media that you need to be aware of, the most important being that you have to authorize a computer to play your music that you bought from iTunes. This isn’t the case when you rip CD’s though. You are allowed a maximum of 5 machines to be authorized to play your music at any given time. You can deauthorize a machine fairly easy by clicking on Advanced – Deauthorize Audible Account. This works fairly well except if you are a computer junkie like me who reinstalls OS’s on machines often. If so, you will find yourself forgetting to deauthorize your computer before you perform the reinstall. However, don’t fret, if you do forget you can login to your account on Apple’s website and do a Deauthorize all function which does just what it says. However, the one drawback to this is that you can only do this function once every 365 days. So, you do need to try to remember to deauthorize before formatting. If you can deal with that one very restrictive rule just mentioned you will probably be fine with using iTunes. 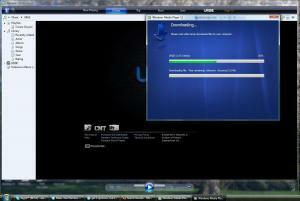 The install and setup is a very easy and quick process. 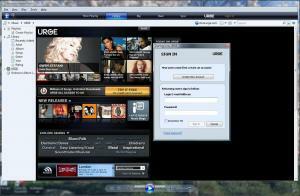 The interface is very easy to navigate and find the songs or other media that you want. The DRM (Digital Rights Management) does have its flaws, but an investigation brought forth by the government recently might cause changes in that area soon. Overall, if you have an iPod, like countless other people out there, iTunes is most likely the easiest music store to implement seamlessly with your iPod. With the introduction of Microsoft's WMP 11, Vista, and the shadow of DRM cast upon other online music download options, MTV's 'Urge' appears to be a totally functional, viable option for the users of Redmond's latest and greatest operating system. Like other online music stores, Urge has a large selection of music to choose from, but unlike the others (as of this writing), its' DRM goes hand in hand with the new Vista platform, including the 64 bit version (this in and of itself is the clincher for me). Great, BoC are here (a favorite of mine). Not their whole discography, but enough to get a sonic buzz... Almost. After getting the Sennheisers on, an ice cold beverage in hand, ready to be transported amidst the ether, i click on "Left Side Drive"...and am given 20 seconds of sample. This is not good. I can "buy" the track or entire album, or be satisfied with 20 second outtakes. Not all tracks/albums have this limitation, but i expected more than an Amazon style ad page. That i pay $10 to $15 dollars a month for. Am i missing something here? I think i am. A monthly payment to eMpTyV! Sorry guys, but there will be more fish in the sea in terms of Vista/WMP/x64 bit compatible online music choices in the near future (otherwise, i can't see how MS will keep us entertained...). This, aside from the many choices of where to place the music that you can save, so many in fact that unless you pay attention to where you send it, you might be looking at a search of your C:/ drive (Urge being so closely tied to WMP/Windows), a real joy using Vista's quagmire of a "search" function. At this point, i can't recommend using Urge past the 14 day trial period. I can only assume this is a "trial" or "beta" of the service itself. i would prefer the option of any tunes that are presented within the service to be saved, with the later option to buy/burn (a la Listen's Rhapsody music service), a proprietary player and storage within the apps' files for saved music (without the need to make up a list title, and the option to have the playlist side by side with the home page, making it easier to enjoy what you are paying for, without having the main page be the dominant focus, or the confusing extra options). 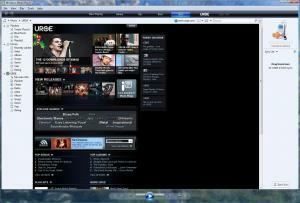 So, in conclusion, if you have an "urge" for a Vista/WMP online music service, i wouldn't subscribe to Urge at this time, unless you have your needs meet within it's fickle playback options, and somewhat clumsy interface, or until some much needed user/consumer friendly changes take place. 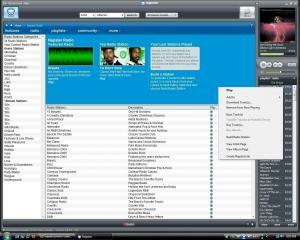 Napster along with other file sharing and P2P groups were actually the first to form Online music as we know it today. Created in 1999, Shawn Fanning with the aide of Sean Parker released the first Napster. Peaking with over 26.4 million users worldwide in February 2001, Online Music File sharing was here to stay, but Napster found itself in legal problems and in July 2001 shut down its entire network to conform to a court injunction. Roxio bought the assets of the original Napster company and brand and logo at its bankruptcy auction in 2002 and an online music service called pressplay in 2003. With Napster, you must download their browser first. Weighing in at only 10MB it was quick to download. 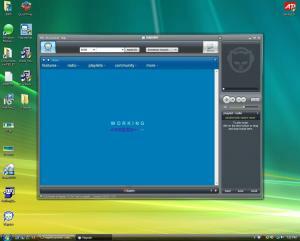 Install went flawlessly on Vista and some parts seemed to integrate themselves into WMP 11. 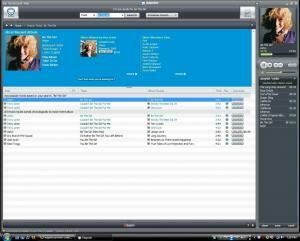 With Napster, quite a few MP3's players work with it. Unfortunately, Apple has chosen to keep both the iPod and iTunes closed off from Napster, and although Napster boasts over 3 million songs, I still don't like the Idea of "renting" your music. I cannot recommend Napster. Online music stores are like paying admission to a record store, walking in and playing all the music you want, including tracks, albums, soundtracks etc. You can play them as much as you want, and for as long as you want. But when your finished, and you walk out of the store, you walk out with nothing, absolutely nothing. I guess this means you want me to get to work on my part then hey? thanks man. sorry i missed your post. when is that chriso-come-lately gonna get his review out? looks good gents...shall we proceed? Very nice Chris and Mike! You make me proud to have you both working with me on this! Yes, you can, at least that is what a google search I just did said. 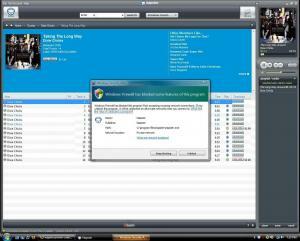 You have to burn to a CD then rerip with Windows Media Player. So, it isn't easy. I would say it is pretty much for iPods only.